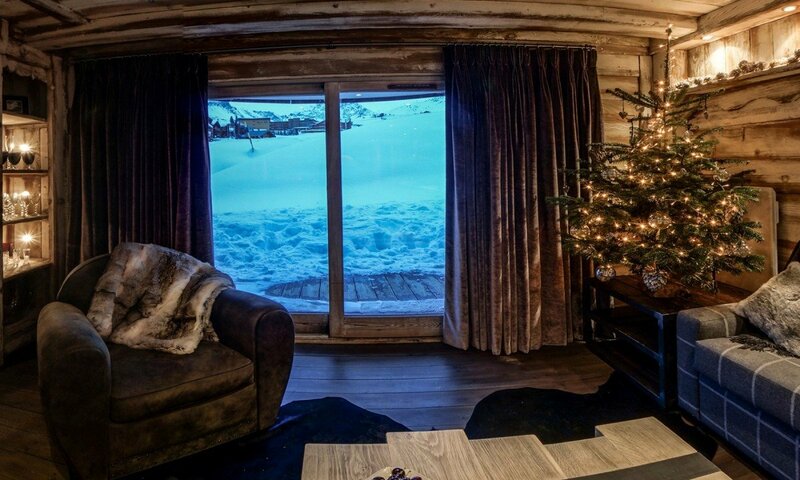 Imagine waking to the sight of the Alps from the balcony of your large and luxurious apartment high above a premier resort. 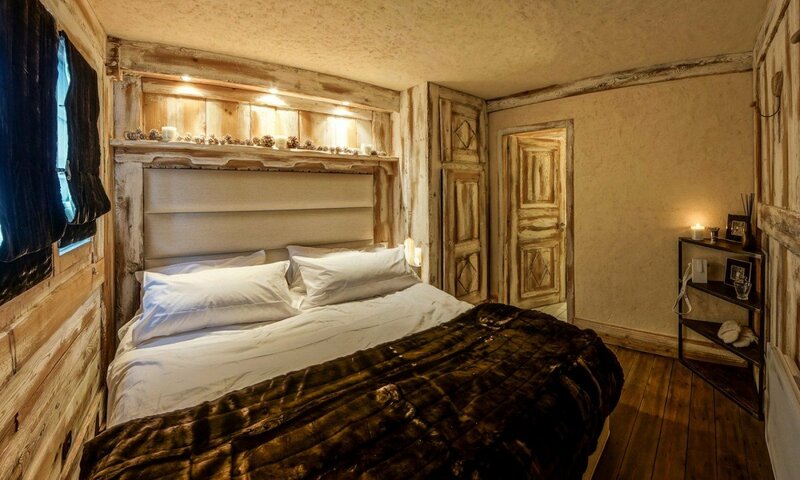 If this sounds appealing, the amazing Petite Bergerie Apartment is for you. 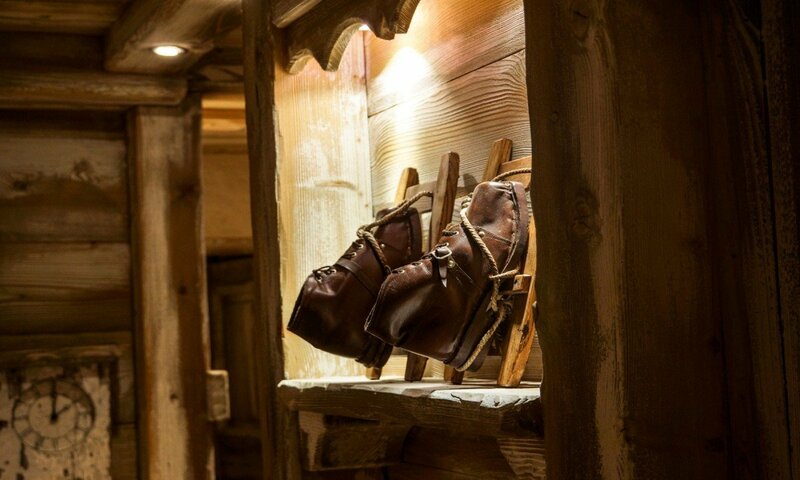 This duplex apartment is located in the exclusive Pralong area of Courchevel 1850, and is part of a large and private complex of authentic, chalet-inspired spaces. 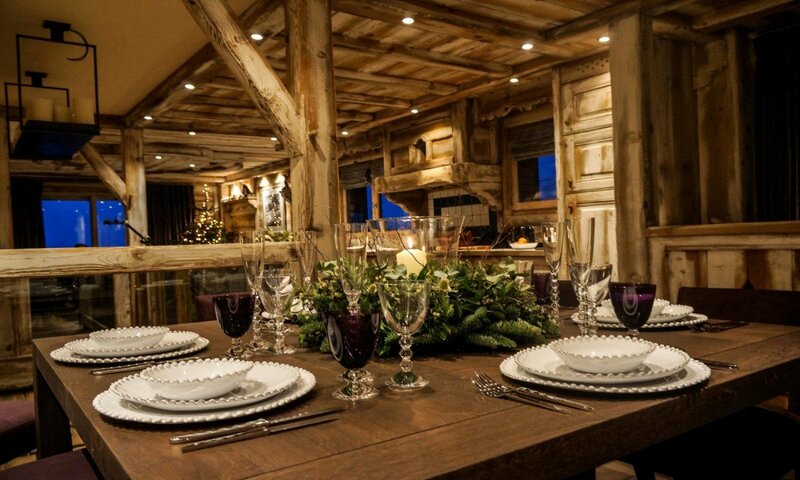 Wood and stone blend beautifully to create a truly authentic structure that works perfectly with the setting. 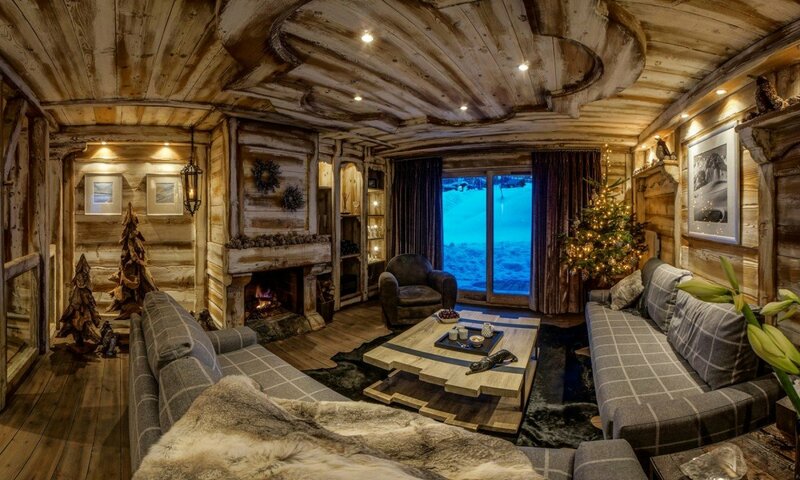 From the ground floor of the three-bedroom property, you can enjoy the fully-equipped ski room with its glove and boot warmers, or you can head up to the great room with its idyllic blend of rustic and classic décor. 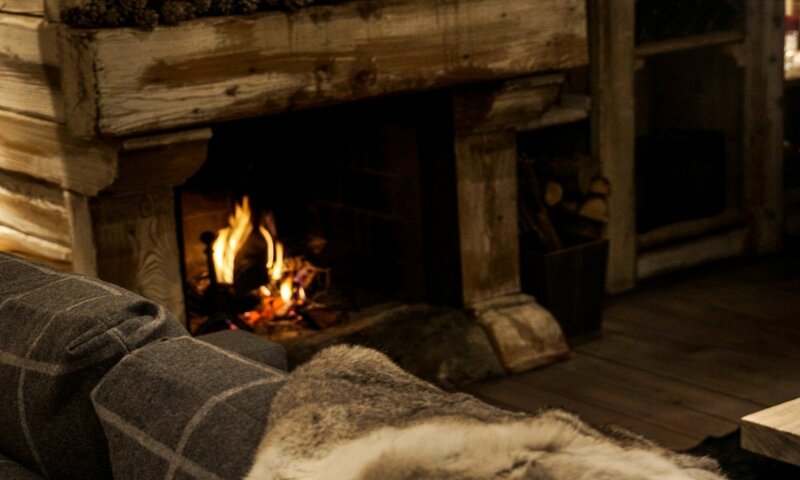 Warm up beside the fire, relax on the oversized sofas, and gaze out at the lovely scenery from your private balcony. 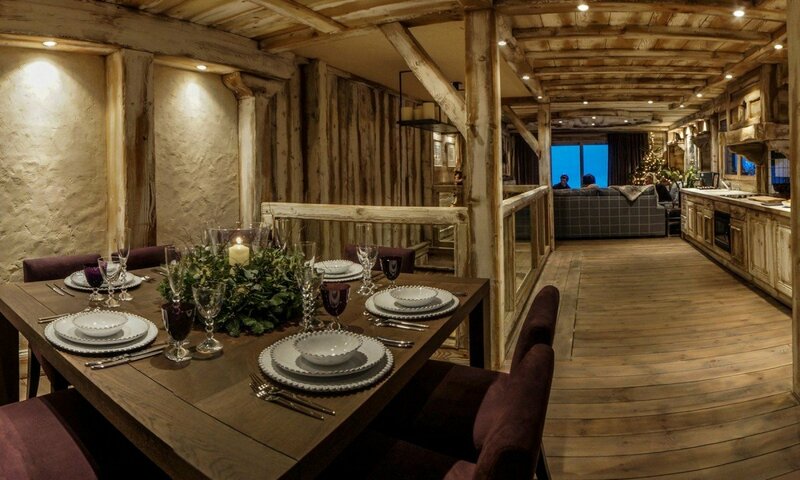 Head to your fully-equipped kitchen and enjoy daily meals at the cozy dining suite. 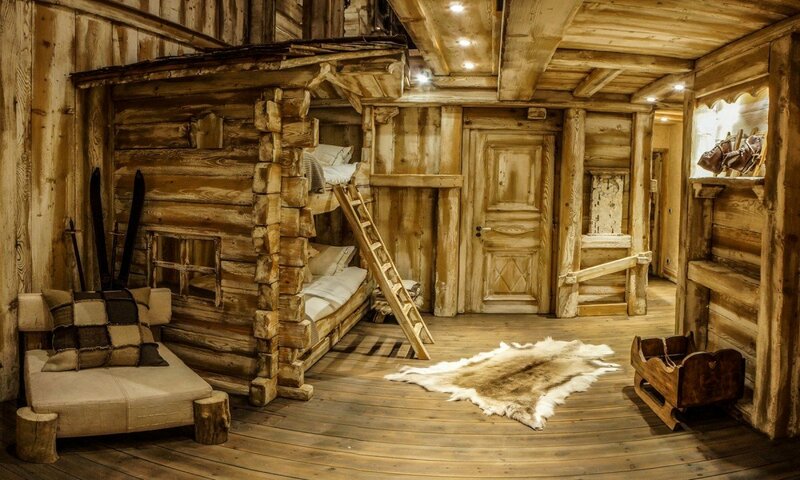 The bedrooms are divided between the levels, and kids will love the log cabin themed bunk room that features an authentic little cabin to house their bunks, rustic furnishings, and a lot of ski and snow themed décor. Nearby is one of the adult bedrooms with a queen bed and larger shared bath with the bunk area. The master suite also features a queen bed and larger, private bath. The entire property features Wi-Fi and there is a good array of entertainment equipment throughout. With its inspired décor and flawless setting, the Petite Bergerie Apartment makes a perfect setting for a family holiday or group vacation. Because it is so close to the many delights of the town center, it is also a perfect property for groups that have a few non-skiers too. 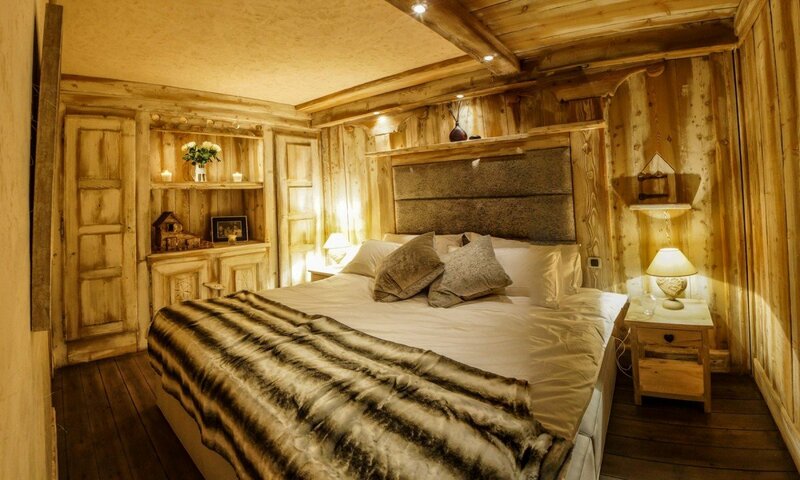 If you have been seeking a private and conveniently place location to savor the amazing skiing of Les Trois Vallees or Courchevel, this apartment-styled accommodation is a fantastic find. Bedroom 1 : Master bedroom with queen-size bed, WiFi and en-suite bathroom with bathtub/shower, vanity and WC. 2 guests maximum. Bedroom 2 : Bedroom with queen-size bed, WiFi and shared bathroom (with Bedroom 3) with bathtub/shower, vanity and WC. 2 guests maximum. Bedroom 3 : Children's bedroom with 2 single Alpine-style bunk beds, WiFi and shared bathroom (with Bedroom 2) with bathtub/shower, vanity and WC. 2 guests maximum.